The Corsair-X Helmet represents the culmination of Arai's vast experience in helmet design and unwavering focus on rider protection. 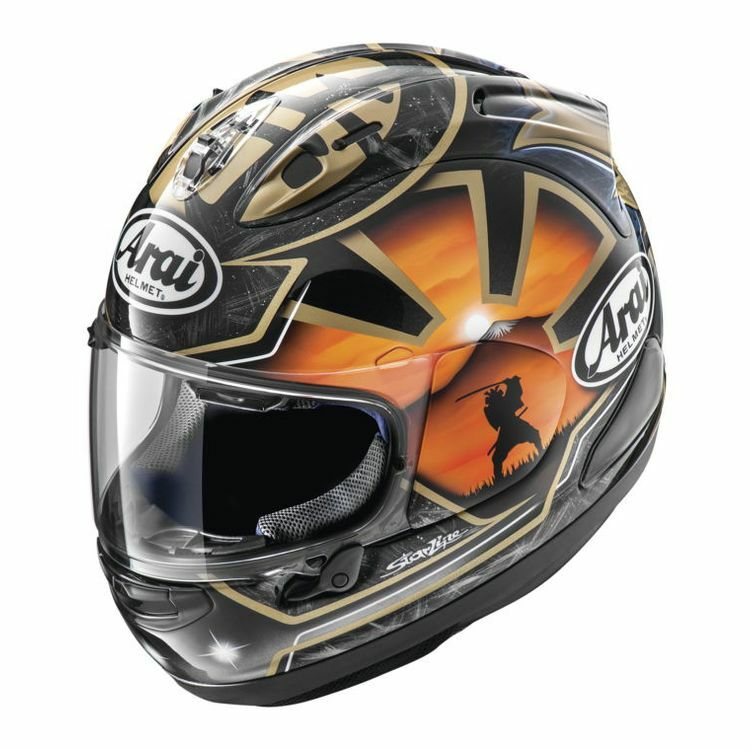 And with features like the ingenious VAS shield mechanism, dramatically improved air flow and ventilation and an antimicrobial Eco-Pure liner, the Corsair-X has certainly earned its place as Arai's flagship model. The Corsair X Type 12 air diffusers are longer than the Corsair V and are straightened for improved aerodynamics, working together with the AirWing to improve stability, and creating a 19% gain in efficiency. 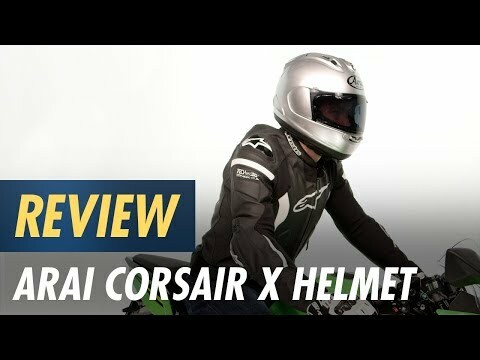 The Arai Corsair X Helmet features a chin curtain that helps to block air intrusion from the air underneath the helmet, as well as increases negative pressure to enhance the exhaust ventilation performance. The interior lining includes Arai's signature 5mm peel away ear pocket padding and ear pocket recess to accommodate communicator speakers. Normally the shield mounting position must remain relatively high, because a lower shield pivot will not allow the shield to open or close. The VAS (Variable Axis System) has a variable axis (moving pivot point). This allows shield opening and closing even with the 24mm lower shield mount position, compared to the Corsair V. The Corsair X helmet shell is constructed from Super Fiber and other special synthetic fibers developed for F-1 helmet visor panels, assembled and bonded by Arai experts. A specially-developed resin creates stronger bonds between shell materials with less weight.